Jon Stewart gleefully tore into Donald Trump on “The Daily Show” again Wednesday, recounting a dream in which Trump announced he was running for president. “Oh my God! 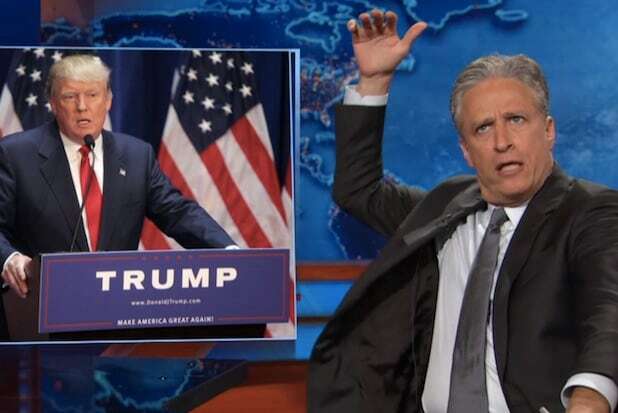 Oh my God!” Stewart screamed while pulling out a lock of Trump-like hair, realizing he wasn’t dreaming. Stewart then pivoted to spoofing the trade deal negotiations between President Obama and Congress before ultimately returning to Trump. Also Read: Can 'Greatest Jobs President' Donald Trump Turn Media Mockery Into Momentum?